Artists Kero One x Esna team up to form Kesna Music. 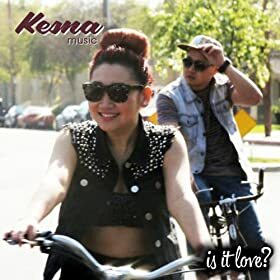 This unique collaboration delivers their soulful debut single “Is It Love?” In the video, Esna sing about what love is and isn’t. Don’t think that it’s love just because he gives you a ride in the car or buys you a drink at the bar. Esna reflects on her past relationship to examine how she misread these signals. You can get the track on or amazon. Listen to more Kero One: In All the Wrong Places, RIP, To the Top, In Time, Shortcuts, Love & Hate, So Seductive, Fast Life, What Am I Supposed to Do?, Pieces, Stay on the Grind, When Sunshine Comes, Keep Pushin’, On Bended Knee, and Welcome to the Bay. This entry was posted in music on August 1, 2013 by Kevin Hsieh - channel APA.